It's Christmas Eve. 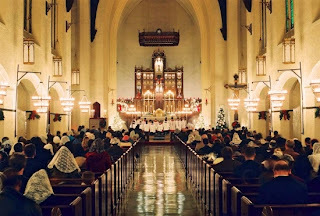 The girls and I just attended the 10:30PM Mass and the Sacred Heart Parish church was overflowing with people. 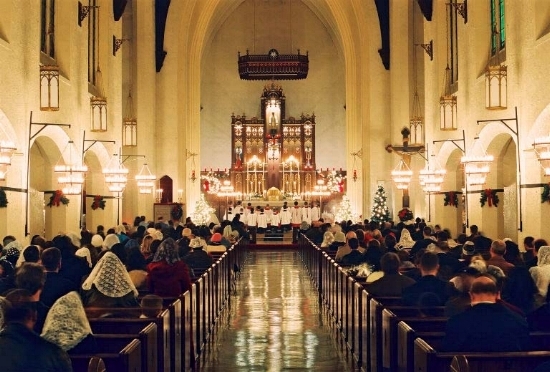 There were 4 Masses and all the previous Masses were also full packed with church goers. The church's parking lot was full so we had to park one block away. Our Pastor, Fr. Mike gave a very good homily. The beginning of his homily was a big question "What does Christmas mean to you?" that caught everyone including me, not prepared to answer. After being so busy with mundane things this past week, I didn't get the time to really reflect on what this season mean to me. I've been wanting to write down my thoughts and reflection but aside from being so caught up with work, I also got crazy finding gifts for everyone and making sure it gets to me before Christmas. When I finally had time for myself, I'm already too tired to do other things or write down my thoughts... And tonight, after hearing the homily I finally had this put up together. Christmas to me is about nostalgia of forgetting and reminding at the same time. It's paradoxical as I see it in the perspective of things. Fights are forgotten, old ties are renewed, new acquaintances are introduced, new wishes are made. Friends and families---meet from different corners of the world in a gathering of kindred spirits brought together as a testament to life itself. 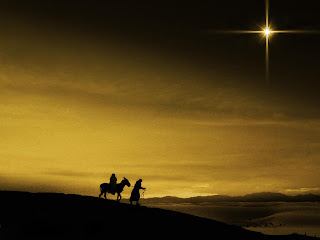 Christmas is the portrait of love, peace and forgiveness. A togetherness that is often taken for granted because of our other priorities. It's the little things and moments of time honored tradition like Christmas--that we need more than ever before to remind us of our roots, our souls and our greater purpose in life. Christmas is all about love, peace, joy, gifts and jingles of Christmas is coming to town. Of all the good that is inside of us that we tend to ignore and the all-forgiving innocence of wishing dear ones Merry Christmas and Happy New Year! As for me I don't expect any gift. I already have mine---When Jesus was born in the little town of Bethlehem to save me from my sins. Wherever you are in the world, may you feel the spirit that this holiday season brings-- love, peace and joy. Big, small, near or far; my all our dreams come true. That, simply is the meaning of Christmas to me.